A One Step No Fiber Formula! While the name may be the same, the product is anything but. Everything, from the Transplanting Gel to the Fibers, has been recreated from the ground up, and the result is a product that is: Bolder. Bigger. Better. It’s a complete reboot, and it will boost your lash look like never before. See up to a 500% increase in average volume* with your rst coat—and you don’t have to stop there. Go wherever your mood takes you with the smooth-coat- ing, high-performing Moodstruck 3D Fiber Lashes+. Step 1: TRANSPLANTING GEL // Apply an even coat of Transplanting Gel to lashes. Step 2: 3D FIBERS // Immediately apply 3D Fibers while Transplanting Gel is wet. Step 3: TRANSPLANTING GEL // Seal the 3D Fibers with Transplanting Gel. Repeat until you’ve reached desired fullness. TIP: For best application, do step 1 and 2 on one eye, move to the next eye and perform step 1 and 2, then return to rst eye to perform step 3, and then nish with step 3 on second eye. Water (Aqua) hydrates and cleanses, and helps to distribute other ingredients evenly over the skin. Butylene Glyco is a humidifying and delivery ingredient. VP/Eicosene Copolymer is a humidifying and delivery ingredient. Sucrose Acetate Isobutyrate helps liquids dry into a lm. Beeswax (Cera Alba) has bodifying properties that act as an emollient. Copernicia Cerifera (Carnauba) Wax is a rm, natural wax re ned to create the sticky texture of the Transplanting Gel. Adipic Acid/Diglycol Crosspolymer prevents color of liquid products from transfering to other surfaces once the liquid is dry. Acrylates/Octylacrylamide Copolymer is a hair xative. Stearic Acid is an emollient that comes from palm trees and is often used to soothe and soften the skin. Polyquaternium-46 is a hair xative. Dimethicone helps keep moisture in the skin by forming a barrier on its surface. Chamomilla Recutita (Matricaria) Flower Extract provides a soothing fragrance. Phenoxyethanol preserves product by preventing microbial growth and spoiling. Panthenol moisturizes skin and hair. Tocopheryl Acetate (Vitamin E) is a vitamin that is already present in our bodies and skin. 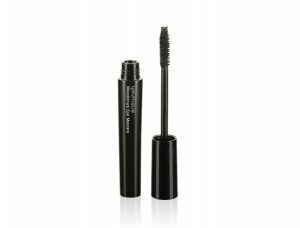 It conditions, softens, and moisturizes the lashes. Synthetic Fluorphlogopite helps control the thickness of a liquid. Allantoin helps to smooth skin and improve moisture retention. 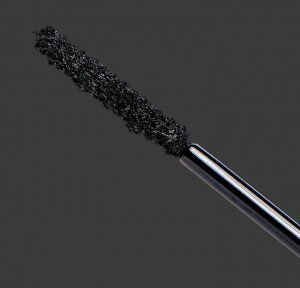 Iron Oxides (CI 77499) also refers to Black Iron Oxide, a mineral that gives our lash gel its striking black color. Hydrogenated Tallow Glycerides soften and condition the skin. Palmitic Acid soften and condition the skin. Tromethamine is a pH adjuster and bu ering agent. Tocopherol softens and conditions the skin. Myristic Acid provides fragrance and works as a thickening agent. Caprylic/Capric Triglyceride softens and conditions the skin. Potassium Tallowate works as an emulsifying agent. Citric Acid is a pH adjuster and provides fragrance. Caprylyl Glycol softens and conditions hair and skin. Benzoic Acid provides fragrance and helps to preserve the product. Phenylpropanol provides fragrance. Propanediol helps control the thickness of the liquid. Squalane helps provide a more youthful appearance. Iris Pallida Leaf Cell Extract moisturizes skin and hair. Panthenol is delivered as an absorbent powder and acts as a thickening agent. Silica is a mineral that is already present in our bodies and skin. It conditions, softens, and moisturizes the lashes. Tocopheryl Acetate (Vitamin E) has multi-functional properties that provide antioxidants, nutrition, and other age- defying bene ts and is already present in our bodies and skin. Tetrahexyldecyl Ascorbate (Vitamin C) is found in every cell of the body. This powerful antioxidant partners well with Vitamin E.
Ubiquinone (CoQ10) conditions and softens the skin. Caprylic/Capric Triglyceride conditions and softens the skin. C12-15 Alkyl Benzoate conditions and softens the skin.